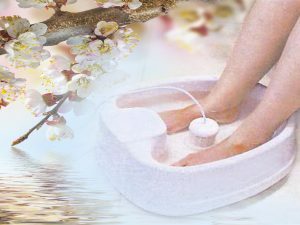 The ionic foot bath detox will let you relax with your feet in a warm bath of water while you get energized and invigorated. You can watch as your body releases toxins into the warm water at your feet. Afterwards, our detox specialist will explain what the water may indicate about your body and what you can do to make improvements. Then your feet will be wrapped in a warm towel and massaged! Finally, you will be asked to walk around and see how light and rejuvenated your legs will feel. What Are Ionic Foot Baths? The ionic foot bath (or the total body cleanse process) is an opportunity for you to place your feet in a warm bath of water with our specialized equipment. Our specialized equipment will help your body release your toxins leaving you energized and rejuvenated! 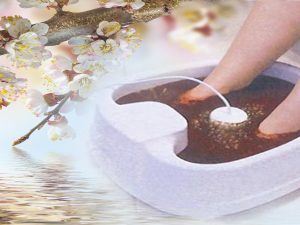 How Do Ionic Foot Bath Detoxes Work? 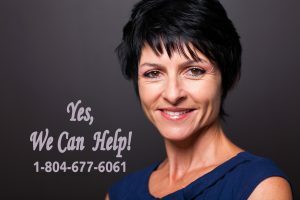 As the body cleanse proceeds, the specialized electrical piece in the middle of the water breaks down the water into its hydrogen and oxygen ions. The hydrogen bubbles up into the air while the oxygen is magnetized and pushed towards the soles of your feet. Much in the way that standing on a piece of garlic for a few minutes will cause allow the garlic to enter the pores of your feet and eventually cause your breath to smell like garlic, the magnetized oxygen enters the pores of your feet. The electrical forces also unlock your cells which allows them to begin the detox process by dumping their toxins into your bloodstream. 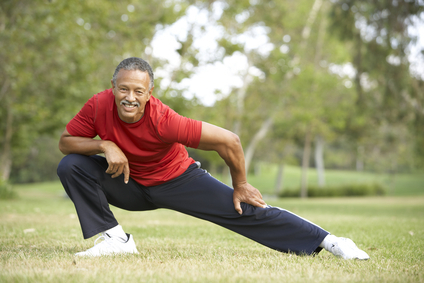 After entering your body, some of the oxygen ions enter your blood stream and circulate through your body. These oxygen ions join with the released toxins. When the equipment’s magnet reverses its polarity to pull the oxygen ions back out of your body, the toxins that the oxygen are holding on to also come out. As the cleanse process continues, the toxins collect in the water at your feet. Similar substances begin to come together and get big enough for you to actually see. This cleanse gives nearly all of your cells a chance to release their toxins. Everyone has a toxic load! Stop feeling tired before your day has ended. Stop aging faster than you should.